An over abundance of hormones in the skin leads to excessive oil (sebum) production, that clogs pores and leads to spots and acne. 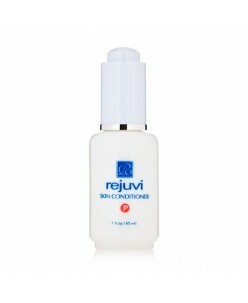 Rejuvi's special formula uses AHA to deep clean the skin, unblocking pores. It also contains a unique combination of vitamins, zinc and organic acids to improve skin condition, clearing spots fast. Clears spots and acne fast! Clears spots and acne fast! 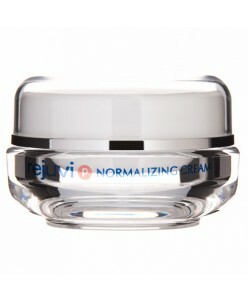 Rejuvi’s Normalizing Cream has a unique and powerful multiple action approach that deep cleans skin thoroughly, gently unblocking pores and removing unwanted skin debris. Urea peroxide kills the acne bacteria while a unique combination of vitamins, zinc and organic ac.. Most problematic facial skin creams just to clean and eliminates bacteria and of the effects of these creams and skin problems are quickly returning. Rejuvi P oiliness of the skin skin cream works normalizing hormone balance, normalization of sebum secretion, restores pH balance, soothes and protects the skin. Cream tightens por..
A fluid formula meant to enhance the effectivness of acne treatments Rejuvi ''p'' Solution for Acne Skin buffs away dead skin and impurities with naturally exfoliating fruit acids, allowing acne medication to penetrate the skin. 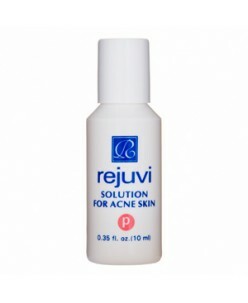 Designed to be used with Rejuvi ''p'' Normalizing Cream, this weightless formula enhances its bene.. Regulates oil production. Improves oily skin This unique formula is designed to control and improve oily skin, regulating and reducing the over production of oil or sebum. This stops spots and acne before they happen. Skin conditioner is effective at eradicating acne blemishes and to convert oily skin to norma..
For open skin or sensitive skin. A more gentle formulation than the regular version, this is suitable for use on open skin or for those who have more sensitive skin. Once open acne is under control it is advisable to switch to the regular version. Application: Use daily on target problem areas preferably in the evening. ..
Stop pimples and spots with PIMPLE STOP Your pimples will disappear while you sleep. 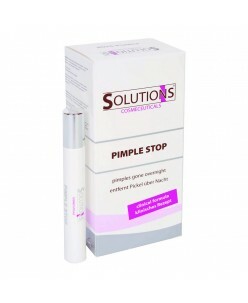 PIMPLE STOP is a new and intensive method of treating pimples. They are eliminated in scarcely eight hours. Use PIMPLE STOP in the evening before going to sleep and you’ll wake in the morning with a beautiful smooth skin. PIMPLE ..